Two fellow fast-food workers' distaste for each other erupted in a near-choking incident after one of them made a pretty bad joke, according to an Oro Valley Police Department report. Near midnight, two officers responded to a call from a north-side McDonald's restaurant, whose manager said one employee had "lost it" and began choking another younger male coworker after "tension had been building between them the whole night." The younger man was now identifying himself as the victim and wished to press assault charges. The complainant—who had a small mark on his neck but declined medical assistance—told an officer the fight had happened as the end of their shift approached, when he'd entered the room where the other man was washing dishes and needed to clean his gloves, so he asked to use the sprayer. Then, he went on, the other man fiercely commanded him to "say please," and although he promptly obeyed, his soon-to-be-assailant became even more hostile, following up with an order that the younger man "check himself." At first, the victim said, he'd thought the other employee was kidding around, so he replied, "Well, do you have a pen?" This was presumably meant to be a joke about literally "checking himself" in some way—perhaps to check himself off a list or make out a check—using that writing instrument. When the accused antagonist was interviewed, he said all evening at work he and the other man had been having "give and take interactions," by which he meant they were "both saying things that agitated each other." His story about their interaction in the dish room basically matched the victim's—he admitted to making the younger man "say please" and shoving him by the throat against the wall while shouting at him to stop talking. He said he hadn't really meant to strangle him but felt the other man had been disrespectful and he "just lost his cool." 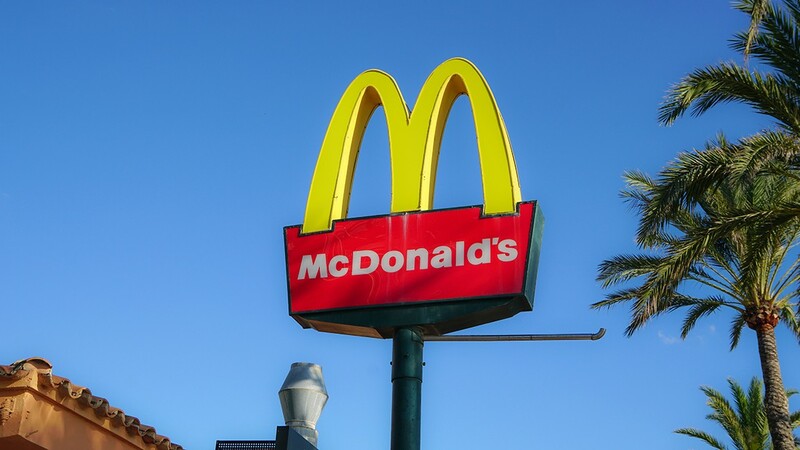 The aggressor was cited and released for assault and the McDonald's manager assured police he'd "handle the situation" regarding further disciplinary consequences.